Every year we either camp or stay at my parents cabin in Northern Michigan for the amazing sunsets, giant sand dunes, beachy scenery that makes you feel like you're in the Caribbean (minus the palm trees), to spend time with friends and family with out the distractions from the city, antiques, lush forests and rolling hills, wineries, sunsets (did I already say sunsets? ), and CHERRIES, seriously cherry flavored everything. 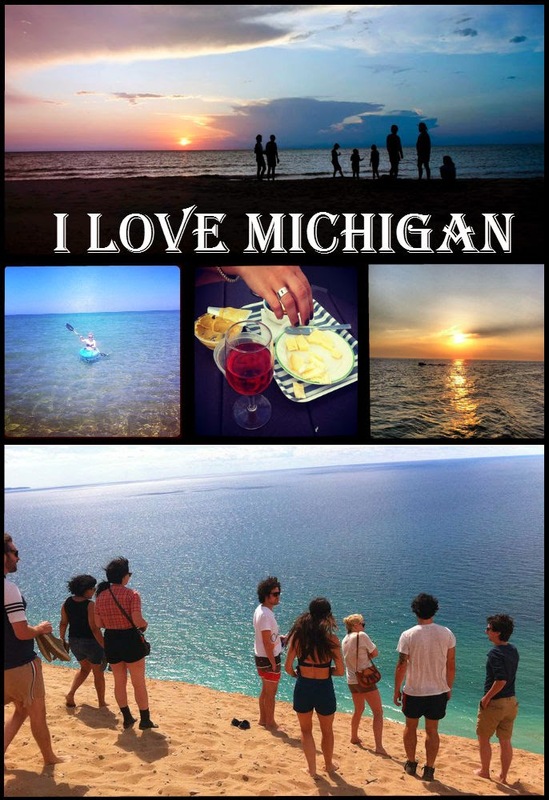 Love Pure michigan! Do you go to sleeping bear? We have a home in Northern Michigan...Leland. My favorite place ever!